Thousands of plant species have adopted a "parasitic" mode of life, living off a host plant which supplies it with water and nutrients. Most of these remain harmless, but a few have evolved to become serious agricultural weeds that threaten food security in some of the world's poorest regions. 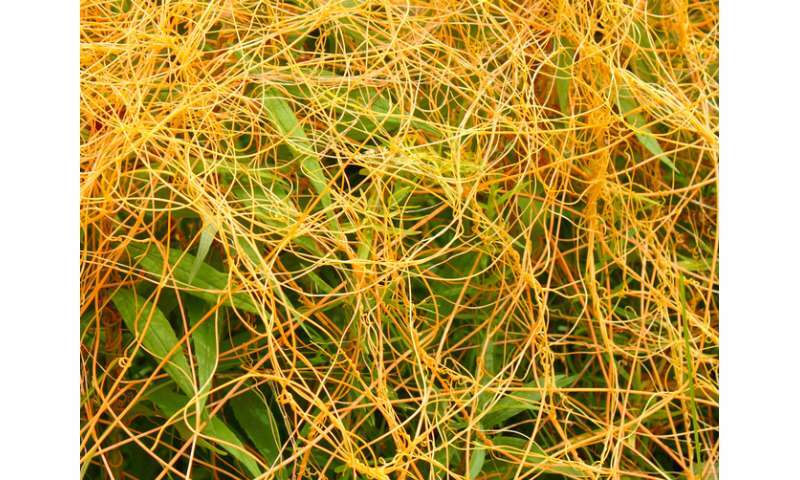 Parasitic plants are deceptively common, you have probably come across the snarling strands of Dodder – a stem parasite which infects nettles – in a local hedgerow. 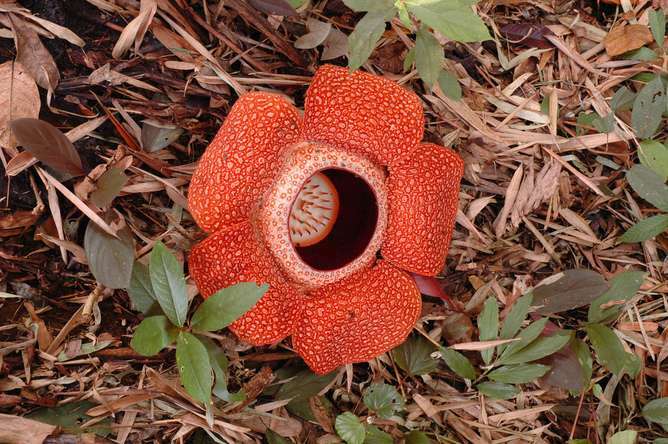 Even the world's largest flower, Rafflesia arnoldii, found in the rainforests of South-East Asia, is a parasite, infecting and living off tropical vines. What unites all parasitic plants is their ability to locate a host plant – usually through recognition of specific chemicals – and form an organ called the haustorium. This organ forces its way into the host plant stem or root and allows the parasite to freely withdraw nutrients to fuel its own growth and reproduction, plundering the host's reserves. When the host in question is an important agricultural crop, this can have devastating consequences for the farmer. Perhaps the most notorious example of a parasitical weed in agriculture is Striga hermonthica – a root parasite which infects all major cereal crops. Usually found in Sub-Saharan Africa, farmers call it "witchweed" because it has a shrinking effect on the host plant, causing it to be stunted and dramatically reducing yields. As the parasite germinates underground, a farmer will have no idea if his plants are infected until the parasite sends up shoots of delicate (and ironically beautiful) purple flowers. At this point, it is too late and his harvest is doomed. Worse still, the land becomes practically useless as Striga seeds can remain dormant for decades to ruin any future harvests. 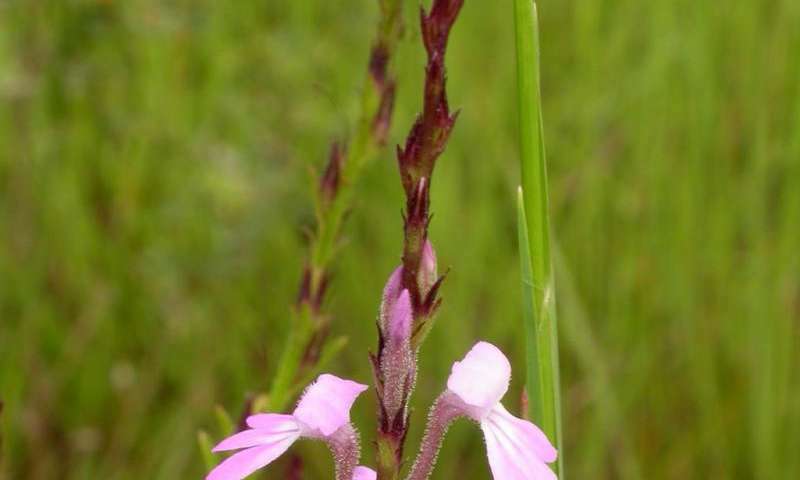 As a result, Striga hermonthica is thought to be the largest biological constraint on cereal production in Sub-Saharan Africa, causing annual losses in the region of US$10 billion. There are few ways to protect crops from parasites such as Striga. One method however, is to induce "suicidal germination" of the parasite seed by treating the soil with host-derived compounds – which induces the seeds to germinate. In the absence of a host, the parasite seeds cannot survive and die, allowing the soil to be sown for crops. Another strategy is applying herbicides to the seeds of herbicide-resistant crops to prevent the parasite from attaching. Such chemicals, however, are too expensive for subsistence farmers who are left with labour-intensive options such as rotating crops with non-host species and weeding out the emerged parasite shoots by hand. Biological control may be an alternative; the legume Desmodium uncimatum, for instance, appears to suppress Striga infestations. Curiously, Desmodium also repels another serious pest, the stem borer moth, making it a highly attractive form of natural control. The most effective approach to date has been using naturally resistant crops, carefully selected through traditional plant breeding techniques. In some cases, the resistant host produces lower levels of germination stimulants, whereas in others the parasite is physically prevented from entering the host stem or root. A problem with these cultivars is that they tend to be found among wild relatives of crop species which also have poor yield. It can take decades to breed parasite-resistant traits into commercial plants using traditional techniques. Genetic engineering is not currently an option as the genes supporting these traits have not been identified. Research groups are currently focused on identifying these resistance genes, so that they can be used to develop "DNA-markers" that can detect resistant plants early and so speed up the breeding progress. Some of these resistant responses do occur in commercial crops, however an over-reliance on these has triggered the evolution of more virulent parasites and it is a constant race against time to identify new sources of resistance. If enough resistant genes are identified, plant breeders hope to incorporate them in a single crop to provide long term resistance. Certain research groups have also begun to experiment with "RNA interference" (RNAi) technology. This is based on using short strands of ribonucleic acid – a biological coding material very similar to DNA – that can be used to disrupt expression of genes essential for parasitic plants to function. If the host plant is engineered to express RNAi strands that target parasite genes, then the parasite can be suppressed without any detrimental effect on the host. This has been successful in protecting tomatoes, but not for cereal crops against Striga. Apart from being huge agricultural pests, researchers study parasitic plants because there's still so much we don't know about this fascinating group of plants. For example, we have yet to fully understand how parasites overcome the host immune system or exactly which substances it absorbs from the host plant. My own research PhD is investigating what defence pathways may underpin resistant responses to Striga gesnerioides – a species closely related to Striga hermonthica but which infects cowpea. It is clear that within my own area of research, besides the field of parasitic plants as a whole, there is more than enough to inspire scientists for many decades to come.